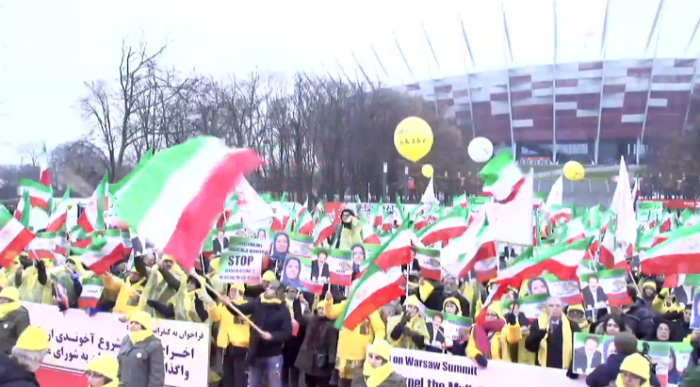 On February 13, 2019, the Iranian opposition came together with communities in Europe and held a rally in Warsaw in solidarity with the Iranian people of Iran. Simultaneous to #WarsawSummit, join us to be their voice against the #Iran regime's egregious human rights violations & an upsurge in its terrorist acts on European Soil. The event marked four decades since the Iranian Revolution in 1979 that ousted the Shah and brought Khomeini to power. Under the mullahs and Khomeini, the Iranian state derided religious plurality, shunned secularism, and abandoned any commitment to upholding human rights. Instead, the Iranian state embraced repression, violence, torture, capital punishment, terrorism and war. Now, forty years later, the regime is creaking under the same weight that ousted the Iranian monarchy; the will and determination of the Iranian people. In 2018, a wave of popular protests swept across Iran, igniting unrest in all 31 of Iran’s provinces and 142 cities, and towns. Like in 1979, these protests drew support from all walks of Iranian life, including the working classes that the clerical regime has relied on for support. Teachers, farmers, factory workers, students, investors, pensioners, and bazaar merchants have all turned out to vent their frustrations and participate in anti-regime protests. The driving force behind these protests has been the unrelenting determination of the People’s Mujahedin Organisation of Iran (MEK). Led by president-elect Maryam Rajavi, MEK members have risked their freedom and their lives to coordinate protests, counter the mullahs’ propaganda and disinformation, and stand up for Iranian human rights both within Iran and abroad. In a statement ahead of the Warsaw rally, Iranian Communities in Europe called the MEK a “pivotal force of the political alternative for future Iran”. The Warsaw rally takes place ahead of the anticipated Warsaw conference, in which governments from around the globe will meet in Warsaw to discuss strategies to deal with the Iranian threat. 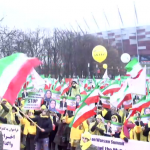 For Iranian Communities in Europe and the MEK, the rally in Warsaw ahead of the conference was necessary to demonstrate to the international community the importance of recognizing the Iranian people’s right to resist and overthrow the regime’s tyrannical brand of religious fascism.